You are not alone. Over 15 million people in the United States are caring for someone who has been diagnosed with Alzheimer’s or dementia. It’s a long journey, and although it may be tough at times, the reward of bringing joy to your loved one will make the long road ahead worth it. A diagnosis of dementia or Alzheimer’s can deeply affect all parties involved, and you may find yourself easily sidetracked. Take a deep breath and evaluate the situation. If you find yourself questioning the diagnosis, it may be a good idea to seek a second opinion. However, if the diagnosis is accurate, the best thing to do is prepare. Now is the time to educate yourself. 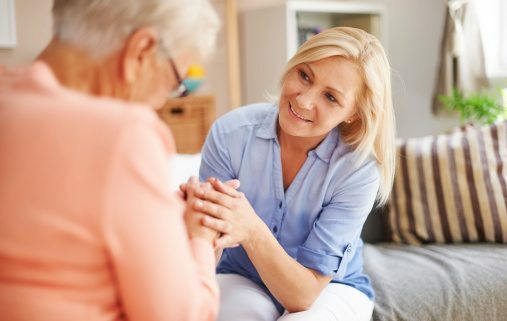 Dementia differs from person to person, and with 86 different types of dementia, it is important to distinguish which kind is affecting your loved one. The different variations may impact your loved one’s memory, medications, and behaviors. Notifying your family of the diagnosis can help with determining a plan of action. Family members should aim to understand the diagnosis as well. This is a good time to discuss future plans and who is willing to help care for your loved one. Moreover, complete documents such as a living will, durable power of attorney, and healthcare surrogate and ask your loved one for any financial information that you may need. Many of those diagnosed will live more than 20 years following the diagnosis, but careful preparation in the early stages of the disease is recommended. As dementia progresses, so will your loved one’s symptoms. It’s easy to grow frustrated and overwhelmed, but remember that your loved one feels the same. Creating an uplifting environment and evoking positive emotions is crucial. Some become depressed, others aggressive. It is often unpredictable, but patience and open communication is helpful. Mood swings should be handled delicately. Listen to your loved one. Ask them to explain or tell you more about what’s on their mind, and if it doesn’t make sense, just listen and offer affection. Keep your sentences simple and avoid arguments. Show a positive attitude, even when you’re troubled, and if your loved becomes agitated, try to subtly change the subject. Be honest. Your loved one’s doctor needs transparency. Make sure that they’re aware of all medication that your family member is taking and of any unusual actions or emotions they are demonstrating. If your loved one is showing signs of depression or aggressive behaviors, notify their doctor immediately. Never underestimate the behaviors of your loved one. Remember, no one is perfect, and you’re doing the best you can. This is a difficult time and you may find yourself overwhelmed, but give yourself all the credit in the world. You’re helping someone that you love, and your selfless actions are not going unnoticed. Allow yourself “me” time and take care of yourself. It’s perfectly fine to ask for a break. Caregiving is a rewarding job, and caregiving for someone you love is life-changing. Alzheimer’s and dementia can cause a great deal of stress, but it’s important to make the best of every day by offering your loved one the support and affection that they need and deserve. If you have questions about assisted living services for your loved one, call us at 603-526-2300 or Contact Us.